I’m slowly starting to overhaul my wardrobe, gradually getting rid of things I don’t wear anymore and replacing them with smarter choices. Getting dressed in the morning was starting to feel like a frustrating task. My wardrobe was bursting at the seams yet it felt like I had nothing to wear. This was probably because I was buying individual pieces that didn’t always play well together. It was clear to me that I needed to take a more holistic approach. 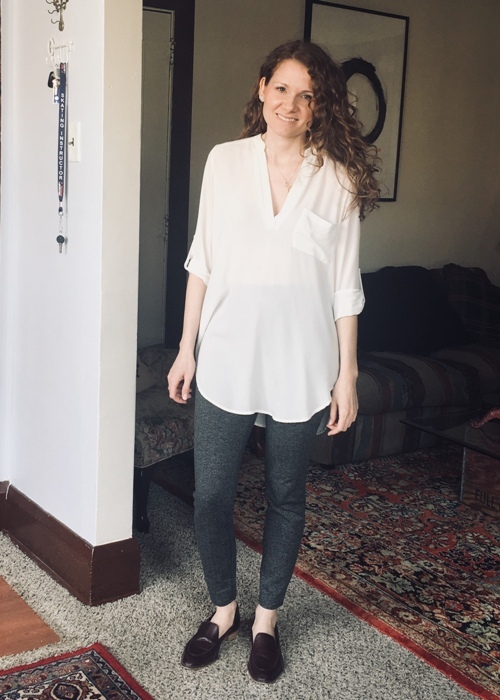 So I’ve started identifying my signature “looks,” the outfits that always make me feel good when I wear them. 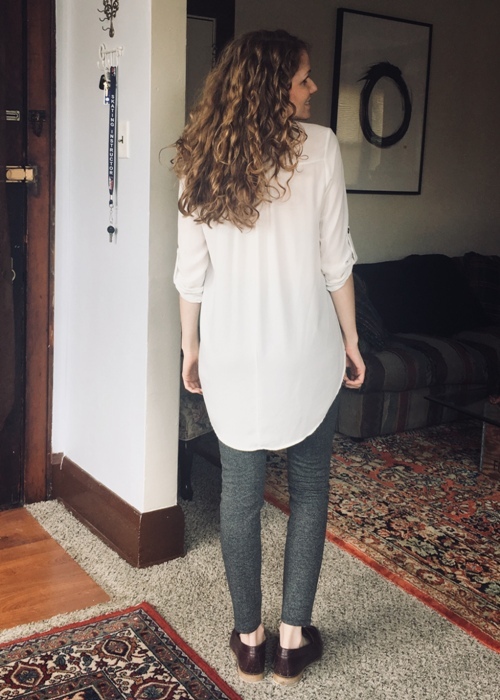 One of my favorite looks for work is pairing leggings with my Everlane loafers. 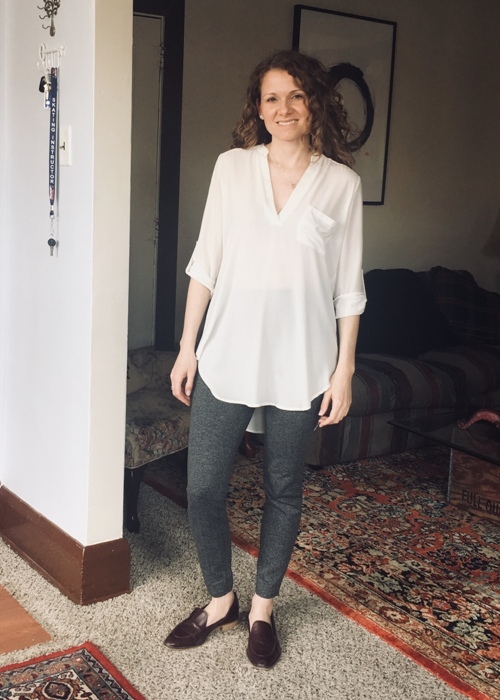 This is definitely one of my “looks” that I want to start building my wardrobe around, so I stocked up on work leggings when Banana Republic Factory was having a sale. I love this pair especially because of its herringbone pattern. They feel elevated compared to your regular pair of leggings. And right now they’re only $38.99. I can see myself adding a sweater blazer, like this J.Crew factory one, to my wardrobe next to go with this look. 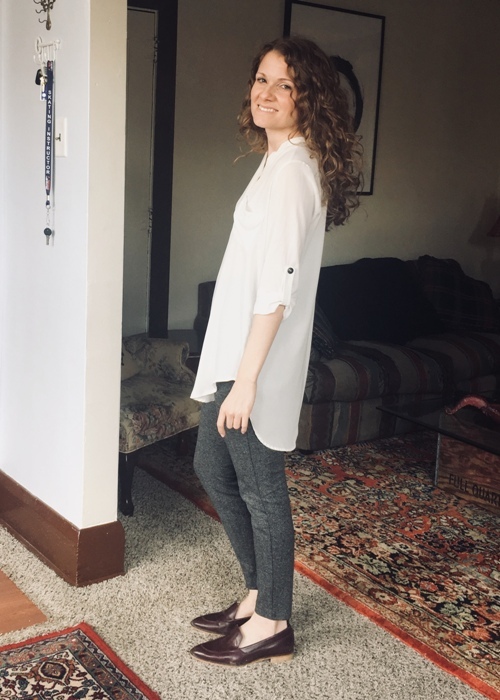 What are your go-to looks? How do you keep your wardrobe full of options?